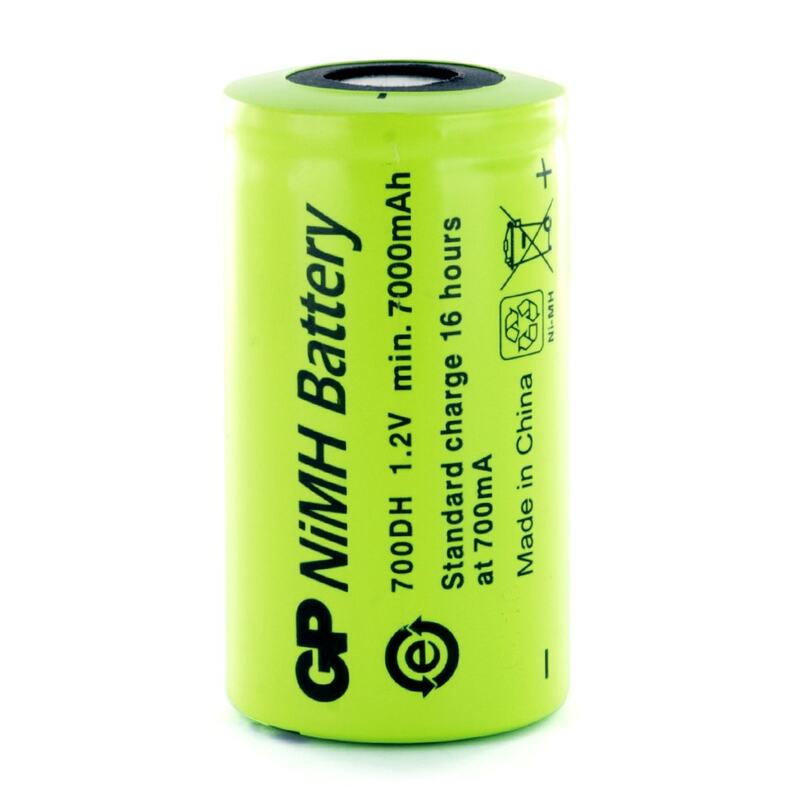 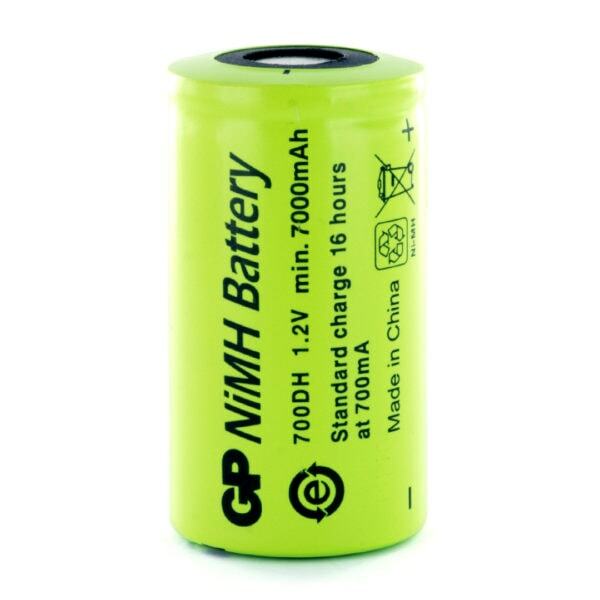 The GP700DH is a D size rechargeable NiMH cell with a capacity of 7000mAh and is 1.2V. 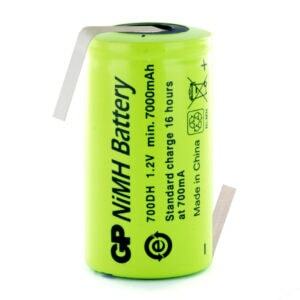 A tagged version of this cell is available. 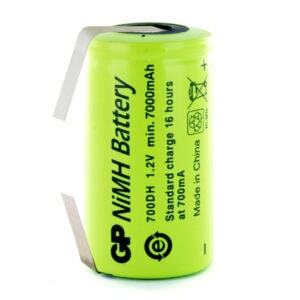 Also used in a pack known as the GP700DHT10Y1HZ, a 10 cell 12v Battery pack which we can make to order.